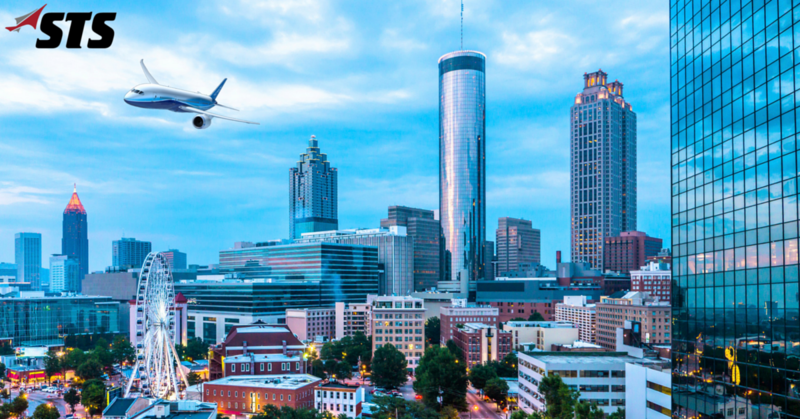 On April 25 – 27th, the STS Aviation Group team will be in Atlanta, Georgia to exhibit during the 2016 AMC/ AEEC Conference. STS and its OEM partners Acme, Aerosonic, Astro-Med, Avionic Instruments and Marathon Norco will be in the midst of the action that is set to take place at Hanover Hall – Suite E located inside of the Hyatt Regency Atlanta Hotel. The AMC Conference promotes improved reliability and performance while lowering costs through the coordination of common technical problems affecting airlines each day. The Conference focus helps save the MRO industry more than $100 million each year while also giving airlines and suppliers a platform to cooperatively work together to drive down costs and solve key issues. This year’s Conference is being hosted by Delta Airlines and it incorporates an evening welcome reception, three full days of informative sessions and meetings and the opportunity to collectively discuss and address key avionic maintenance questions. Each day of the Conference will be followed by recurring nights of exciting networking activities within the venue’s hospitality suites; activities that include a Delta Tech Ops tour and the annual AAI Golf Tournament. “STS considers this to be one of the more technical and customer interactive conferences that we participate in each year. This venue not only allows you the opportunity to review technical detail around aviation components but provides great networking opportunities and exciting themes in each of the hospitality suites,” said Tom Covella, President of STS Component Solutions. This year, inside of the STS suite, get ready for live rock and roll music from local band Shotgun Orchestra on Monday, a special appearance from NFL Hall of Famer Chris Doleman of the Minnesota Vikings on Tuesday and actual zombies walking the suite searching for the brains of industry professionals on Wednesday. Stop by and see us. It’s bound to be a blast!